According to the National Highway Traffic Safety Administration, Thanksgiving is second only to the New Year's holidays in terms of the number of drunk drivers on the road. 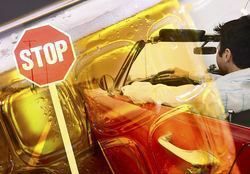 On Thanksgiving, drunk driving violations increase an average of 54 percent when compared with the rest of the year . In fact, the entire holiday season sees a big increase in drunk driving accidents. Between Thanksgiving and New Year's Day, between two and three times more people are killed due to alcohol-related crashes than at any other time of the year. 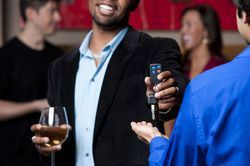 The Centers for Disease Control predicts that between that time period, over 1,250 people will be killed and over 25,000 will be injured due to drunk driving accidents. Fortunately, many police departments put more police officers on duty during that time in an attempt to keep the roads safe . The Thanksgiving weekend is one of the biggest travel days of the year. If you are planning on driving over the weekend, take extra precautions. Avoid driving in the late night and early morning hours, because drunk drivers are more likely to be driving during that time period. 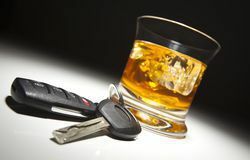 If you are driving during those times, be alert for intoxicated drivers and don't hesitate to call authorities if you see a suspicious driver. Also, buckle your seat belt. If you are injured in a holiday accident, and that accident was caused by the negligence of another driver, you are entitled to compensation for your injuries, pain and suffering, and the damage to your vehicle. Call Kennedy Hodges, Houston car accident attorneys, at 713-489-9493. You can also visit them on Facebook to learn more.